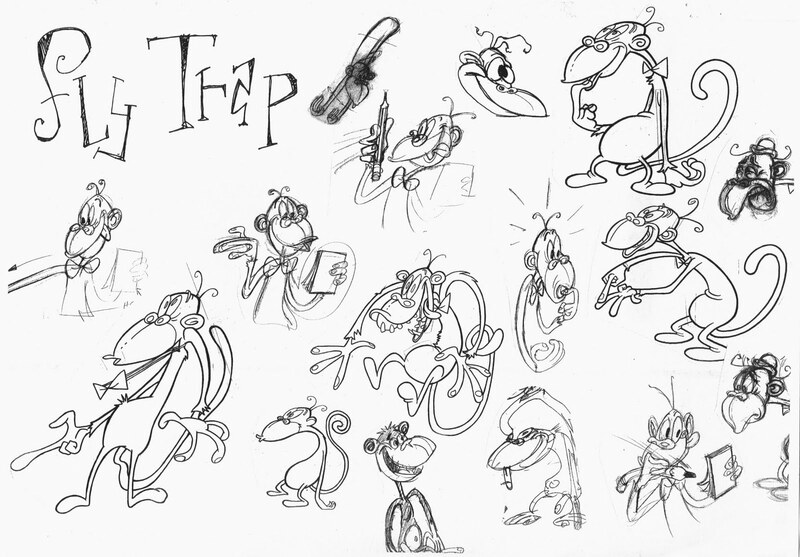 Fly Trap character development sketches by John Kricfalusi. Green Monkeys is a lost animated pilot for a Disney series created by Betty and Michael Paraskevas (creators of Maggie and the Ferocious Beast and The Kids From Room 402). The series would have revolved around two monkeys named Spider and Fly Trap whom after they are taken out of the jungle, they tried to run a temp agency in the Lower East Side of New York City. Green Monkeys was pitched and optioned at Walt Disney Television Animation during the late 1990s. After becoming dissatisfied with the development for the series, Disney hired Spümcø, under the supervision of John Kricfalusi, to further develop the property for television. A pilot, directed by Gabe Swarr, ended up being produced there in 1999, but ultimately, Disney ended up passing on the series for reasons unknown. Betty and Michael Paraskevas would ultimately end up turning the series into a weekly comic strip that appeared in the local publication Dan's Papers. Kricfalusi has posted some of his work created for the series on his blog. 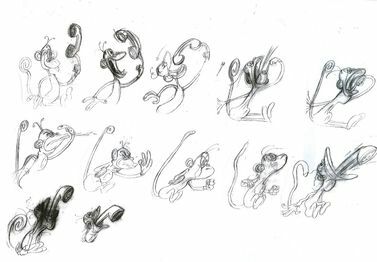 Character devlopment sketches by John Kricfalusi. 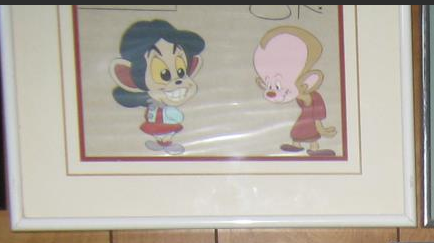 Possible character designs created by John Kricfalusi.